Public Enterprise Minister Parvin Gordhan suffered "unbelievable trauma" through the "disgraceful reporting" on the so-called SA Revenue Service (SARS) "rogue unit", according to Judge Dennis Davis. Davis, chair of the Davis Tax Committee, addressed the Cape Town Press Club on Thursday on the topic of "the current state of SARS". 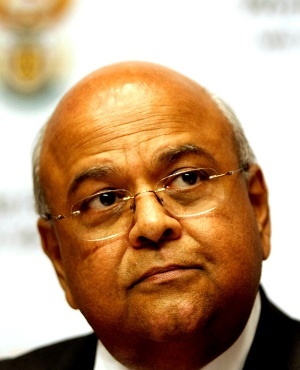 "SARS was the jewel in the state crown under Pravin Gordhan. It was very efficient. This was eroded in the Zuma years, ultimately leading to a 1% VAT increase due to the widening fiscal gap," said Davis. Gordhan is a former minister of finance and former head of SARS. In the view of Davis, who described Gordhan as a friend, suspended SARS commissioner Tom Moyane launched an attack on people at SARS who were just doing their jobs. Moyane was suspended by President Cyril Ramaphosa in March this year. It is alleged that Moyane allowed public finances to become compromised under his watch. Davis believes the journalists and editor involved in such "disgraceful reporting" at the time should be called to provide answers at the Nugent Commission of Inquiry into tax administration and governance at SARS. The unit was alleged to have bugged former president Jacob Zuma’s home and conducted unlawful surveillance, run a brothel and to have had hundreds of millions rands stashed for illicit purposes. The Sunday Times, which has since apologised, famously first ran a series on the 'rogue unit' in 2014. Carte Blanche and other media also covered the story. "We know who their 'sources' were. This is a tragic case where the media was used. The media coverage partly caused the SARS debacle. The real point is about what happens when the media becomes a means for state capture," said Davis. For him the real question is whether SARS can be turned around to collect taxes effectively. "My own view is that we need to do something to bring SARS back to safe waters once the Moyane-debacle has ended," said Davis. "I hope many of the people who left SARS during the Moyane period will return as they were good at their jobs." In Davis' view, the only way corruption in SA can really be stopped is by having "a national director of public prosecutions who is willing to look at people, now, without their political patronage; and who are deeply implicated in, for instance, dairy farms and at state-owned enterprises". He suggested that such people be "called in" and informed that they will be charged, or they must "make a deal". "In this way you can work your way up the chain," said Davis.